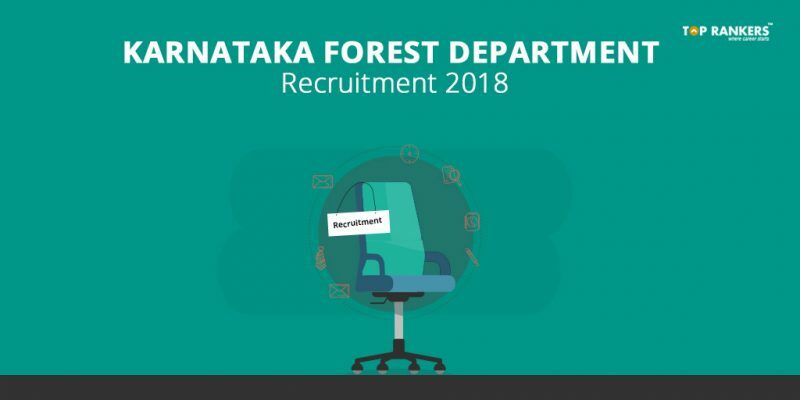 Karnataka Forest Department Recruitment 2018 – Find the direct link to apply online. An official notification has been released by Karnataka Forest Department. Via this notice, vacancies have been announced for the post of Watcher. A total number of 94 vacancies will be filled through this recruitment process. The online application process started on 11th June 2018. And the last date to apply is 10th July 2018. Also, the last date to pay fee is 11th July 2018. Scroll down to read more details. Age Limit – You must be between 18 to 30 years of age. However, age relaxation rules apply for the reserved categories – 5 years for SC/ ST candidates. Educational Qualifications – You must have cleared SSLC exam from a recognized board. The selection process comprises of – Prelims test, Mains exam, Physical Standard Test, Personal Interview, and a Medical examination. First of all, click on the direct link given above to apply. Then, click on online application link under News & Updates section. And follow the steps mentioned above. So, tell us, did you find our post on Karnataka Forest Department Recruitment 2018 – 94 Vacancy helpful? Then, keep visiting us regularly for more job notifications and recruitment updates. And do share your thoughts with us in the comments section below. ‘Cause your opinion matters!